The Augustinian Recollect charism is share by the monasteries of Augustinian Recollect Nuns or the Second Order born at the same time and with the same spiritual aspirations as the first Augustinian Recollect friars. 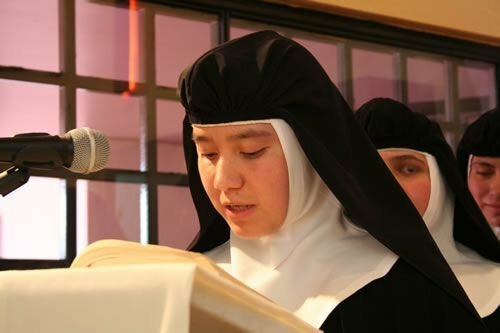 The sisters by their contemplative life manifest this fundamental dimension of our charism. The congregations of the Augustinian Recollect Sisters, Augustinian Recollect Sisters of the Heart of Jesus, the Augustinian Recollect Missionary Sisters and the Augustinian Recollects Sister of Sick, each conserving its particular identity and mission, all form a part of the Augustinian Recollect Family. The members of the Augustinian Recollect Secular Fraternity, in accordance with their condition as lay persons, commit themselves to live the Gospel under the inspiration of the experience and spirituality of the Order. They also pertain to the Augustinian Recollect family and participate in its ideal, gifts, and fecundity. The Augustinian Recollects, working in 19 countries, make an effort to form Christian groups of young people to live with joy a spirituality based upon love and friendship and affiliated with the Augustinian Recollect Family. The Augustinian Recollect Youth has come into being as an expression, among young people, of the life and style of St. Augustine as shared with his friends and as imitated by his followers. The young people of these groups seek to follow Jesus in accordance with the charism of St. Augustine who has provided us with ideas and symbols which help in the daily living of the Gospel. In these groups, the young participants come to be united spiritually to one another and committed to living the four essential dimensions of the Christian life, that is, the formative, the collaborative, the apostolic, and union in communion.